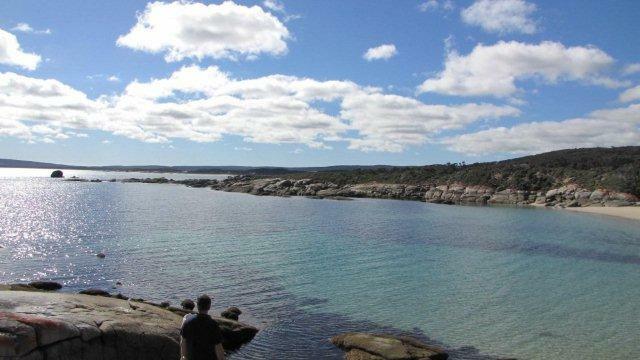 Flinders Island had me hooked. I was there for just over four hours and the weather was lousy, but I loved it. The biting wind cut into us as we crossed the tarmac and it was bitterly cold despite the fact that it was supposed to be spring, but apparently spring here is renowned for being windy. The wind had been forecast, and it was cold and overcast when we left Melbourne in the Beechcraft, but the clouds cleared by the time we arrived and the descent over the western side of the island gave us glimpses of the diverse landscape, with sandy dunes edging coastal lagoons and impressive, rugged, granite ridges running the length of the island. Apart from a weekly cargo ferry that carries a limited number of passengers, this is the only way of getting to the island. Leaving the small airport we escaped the wind and climbed into our waiting rental car. 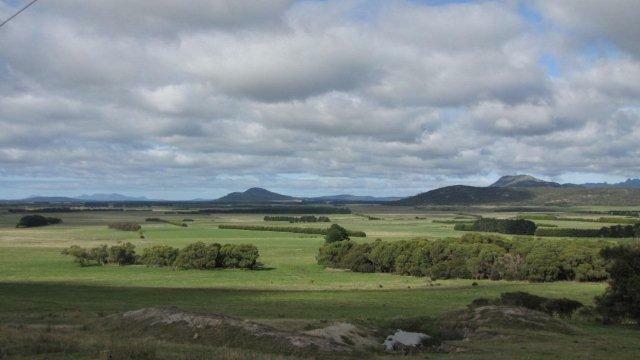 Flinders Island, the largest island in the Furneaux group just off the north east coast of Tasmania, has around 450 kilometres of road and, with no public transport on the island, a car is a necessity. Our pilot and guide Dale, who has a place on the island ‘not yet habitable’ he says, but he has a plan, explains that you have to wave to passing drivers, it’s a tradition. And so it is, the driver of every car that we pass acknowledges us. 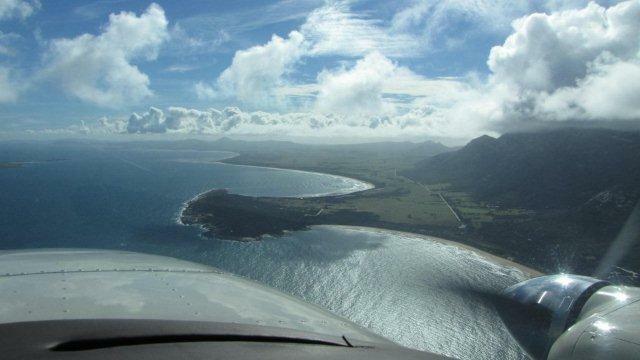 Out of the airport we headed for nearby Whitemark, the civic and commercial centre of Flinders Island. With a population of less than a thousand, spread over 1300km², the settlements on Flinders Island are not large, but Whitemark has the necessary facilities – a post office, bank, supermarket and service station, and of course the bakery, where we later stop to pick up fresh bread before our flight home. Our main purpose here was to have lunch and for that we headed for the Furneaux Tavern at Lady Barron on the south coast. Before we settled in for a leisurely lunch though, Dale drove us up to the nearby Vinegar Hill lookout, from where you get an uninterrupted view over the smaller offshore islands. Although whipped up by the winds the ocean was a compelling blue and the view was reminiscent of one from a similar lookout I had visited some years previously on Crete. Dragging ourselves away from the sheer natural beauty of this area we headed back down for lunch. 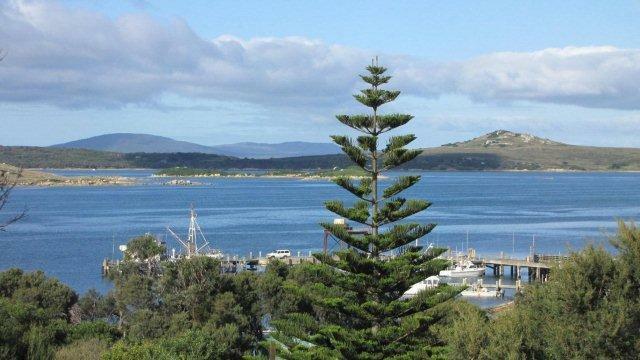 Situated onAdelaide Bay, with views across Franklin Sound, the Furneaux Tavern provides, not only accommodation and a fully licensed restaurant, but also one of its greatest assets, the inspiring view from the verandah. The light catches on the picturesque small islands dotted throughout the bay and you may catch sight of fishing boats delivering fresh local produce to the island. The day we were there was not conducive to lazing on the verandah but the large picture windows of the Shearwater Restaurant gave on to the same view, and we had the added comfort of a roaring log fire while we tried to choose from the variety of local dishes on offer. The restaurant sources fresh local produce where possible. Particularly plentiful around the island are scallops, crayfish and scale fish, with local wallaby providing an interesting alternative for the more adventurous, and the local, award winning, Unavale Sauvignon Blanc was a resounding success as we relaxed in this comfortable, friendly atmosphere. After an extremely enjoyable four hours, that literally changed the way I am thinking about future holidays, we were back in the air, headed once again for the rat race that is life, but I will be back. Visiting this gem of an island you won’t find 5 star resorts, but that’s as it should be. There are plenty of comfortable accommodation options for couples and families, ranging from cabins to very well appointed beach houses, offering that little bit of luxury, many with outstanding views. 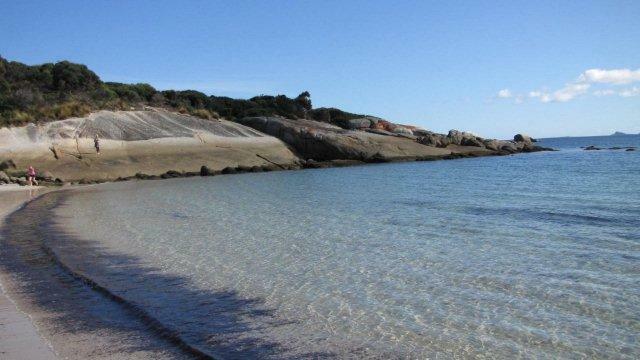 There is plenty to do if that’s what you want, beach and off shore fishing, bush walking in the Strzelecki National Park and bird watching, with the island being home to several breeding colonies of endangered species, or you can simply relax and do very little. This is not a place for shopping, there are no designer outlets or gift shops selling miniature replicas of historical monuments. You won’t get guided tours of palaces or ancient sites. What you will get is a sense of well being, a feeling of peace, of escaping the rat race, and an appreciation of the landscape. Indulge, not in extravagance or luxury, but in your surroundings. As Australians we travel thousands of kilometres to the romanticised lands of Europe. We explore the wilderness of the Canadian Rockies or the American west, and that’s fine. But sometimes we should just stop and take a breath, look at what is around us and take the time to just be, as individuals, as a family. 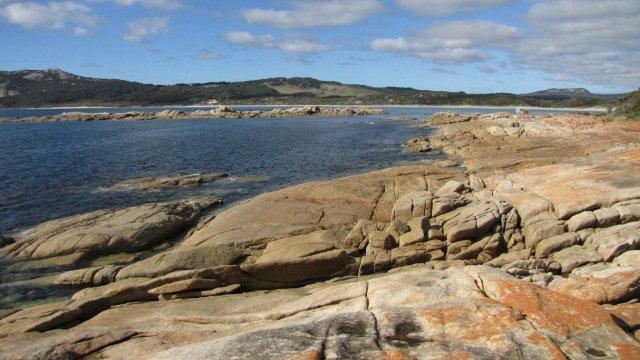 Flinders Island is one of those rare, unspoiled places where you can do that.